James “Bradley” Verner was born on September 15, 1951 in Fresno, California. Brad worked a variety of jobs during his lifetime highlighted by his time as a truck driver with Sygma, store clerk with OnCue, and eventually retiring with O’Reilly Auto Parts. He enjoyed drawing and playing his bass guitar in his free time and played in several local bands throughout his life. 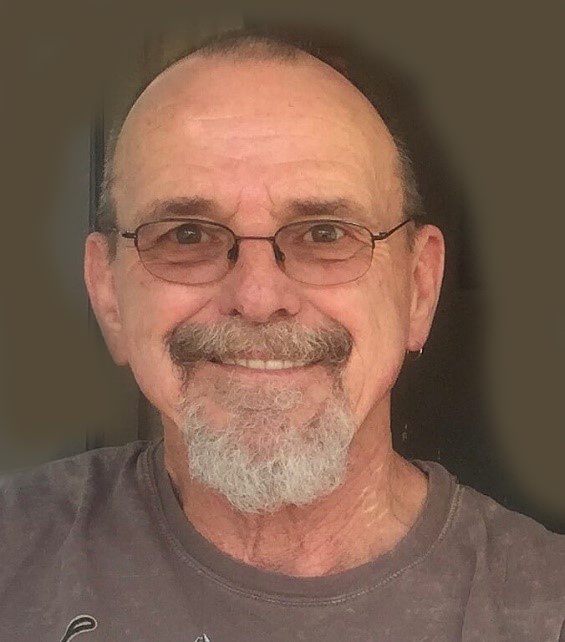 He passed away peacefully at his home in Chandler on February 6, 2019 at the age of 67. Brad was preceded in death by his father Garland Wayne Verner, his mother Amabelle Verner, his brother Kirk Verner, and his wife of 46 years Vera Mae Verner. Survivors include his two loving sons, Nathan Verner and his wife Sharon, Derek Verner and his wife Courtney; four adored grandchildren, Dylan, Allyson, Skyla and Brantley; along with other family and friends. A memorial service was held Saturday February 9, 2019 at First Christian Church in Davenport. Honorary pallbearers for the service were Dylan Verner, Brantley Verner, Jason Rush, Tony Rush and Caleb VanDenbrand. Memorial contributions can be made In Memory of Brad Verner to the American Cancer Society via their website at donate3.cancer.org. Arrangements were under the direction of Lehman Funeral Home of Wellston.